A city college is taking on universities by offering cheaper degrees for students. 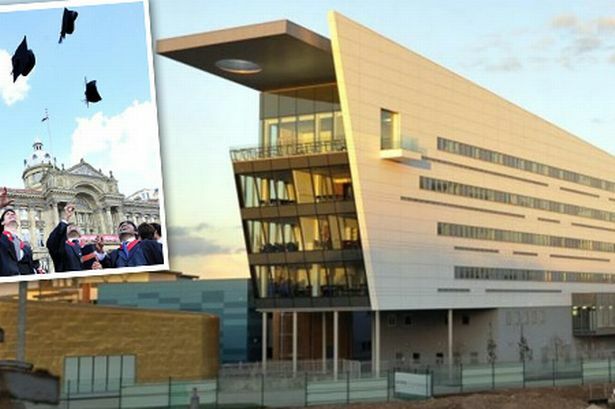 A Birmingham college is taking on local universities by offering cheaper degrees for students. With crippling fees at established universities, further education bosses believe students are desperate to find a more affordable solution. Bournville College has announced it is making the move into higher education by launching a number of degree courses for the first time – which will cost a quarter less than some courses run by other regional universities. The college has teamed up with the University of London, the UK’s largest university, to offer three new business and computing degree programmes from September. It joins two other institutions – Solihull College and Birmingham Metropolitan College – in offering full degrees. And in an exclusive interview with the Birmingham Post, Bournville principal Norman Cave said he believed more colleges would be rushing to take advantage of the market. Students enrolled on the BSc computing and information systems, BSc creative computing and BSc business degree programmes will pay fees of £6,800 a year. This is compared to the maximum £9,000 tuition fees which universities can charge from the autumn. Bournville, which moved to a new £66 million campus in Longbridge last autumn, will also be offering more than 20 foundation degree courses from September after teaming up with University College Birmingham. He said: “With the present government there has been a new impetus to the initiative of moving into HE. “We are expanding our HE offer, like other colleges, and I think that is a good thing. “It opens up the sector and provides access to students who may not be able to afford a university education. The partnership between Bournville and London follows months of “intensive talks” between the two institutions. Degree students will be able to study full-time over three years, or part-time over four or even five years. Bournville’s fees compare to the £9,000 charged by the Universities of Birmingham, Warwick and Aston University for 2012-13. Birmingham City University has set a three-tier structure of £7,500, £8,200 and £9,000 for full-time students, while the University of Wolverhampton students will pay just below the maximum at £8,500. Under the new national fee structure, graduates start to repay the fees once they are earning a salary of more than £21,000. Around a quarter of graduates, those on the lowest salaries, will pay less under the new system. In October, Aston, Birmingham, Birmingham City University and University College Birmingham announced they would be working with more than 50 schools and colleges across the city, where university applications are traditionally lower. Bournville’s move into higher education has won support from Edgbaston MP Gisela Stuart, who said the London degrees would have the same cache as university study. She said: “If you look at Birmingham, we sometimes forget how large a city it is. “We have universities like Birmingham, Birmingham City University, Aston University, but what we haven’t got at this stage is offering alternatives to people who require greater flexibility, which is really important. Mr Cave said the initial demand to offer the degree courses came from the international market, particularly from India, Brazil and China where there is a strengthening demand for British qualifications. He said that while applications would be welcomed from both home and international students, having overseas students study at Bournville would help boost the local economy. He said: “Clearly with international students they come and spend money on the fees, but they also have to live here. The programmes will be taught at Bournville College’s campus on Longbridge Lane. Built on the site of the former MG Rover works at Longbridge, the campus is part of a £1 billion regeneration of Longbridge in a bid to transform the area in the wake of industrial decline. Professor Jonathan Kydd, dean of the University of London’s international programmes, said the university chose the college on account of its heritage of providing education to the people of Birmingham. He said: “Bournville College is the first among a new wave of further education colleges to offer our degree programmes in the UK. “I believe that this current move into the FE sector is in keeping with our mission to provide access to our study programmes for all students that may benefit from it. “We have moved very fast on this because it is a very good fit, and the staff at Bournville are very receptive. We made contact with each other in the latter part of last year and have both worked intensively on this. “The campus is extraordinarily impressive, but much more important than that is the heritage of Bournville and the huge contribution it has made to Birmingham, so from our point of view it is absolutely the kind of institution we want to work with. The deal with the University of London comes a fortnight after Bournville announced a partnership with University College Birmingham to offer more than 20 foundation degree courses from September. Courses include early childhood studies, business and Hairdressing and Beauty Therapy Salon Management. Bournville College is holding an open day to see the range of HE courses available, on Saturday, June 16, from 10am-2pm.